My client was having a dry cough she couldn’t get rid of. Doctors put her on Asthma meds, but she didn’t feel better. She came to me, got the scan, she purchased her supplements by Nature Sunshine products from me, then called me about a week later feeling so much better! Cough was gone!!! I scanned her under the Respiratory category and it gave her a list of supplements supporting her respiratory system. She was very pleased with the results. The ZYTO Compass scan is so helpful and very accurate. I encourage all my clients to get the ZYTO Compass scan, even if they are coming for a massage. I can scan them and learn which essential oils their bodies prefer and using those oils enhances their massage. My clients are so pleased with the personalized Aromatherapy massages. If you are in the Chicago area schedule an appointment with me to get a ZYTO Compass scan reading at my Homewood office. If you live outside of Chicago but would still like to try this scan a Virtual Satellite Clinic is available. You can be located anywhere in the world! Contact me for details. – Children with ADD, ADHD, biopolar, etc. 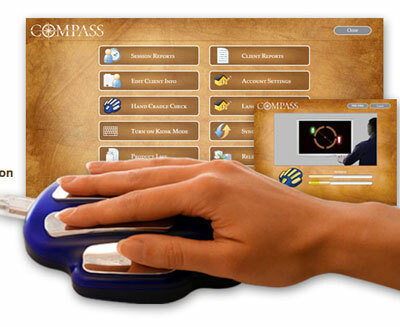 Read more about the benefits of the ZYTO Compass scan in my latest Examiner.com for Chicago Holistic Examiner.